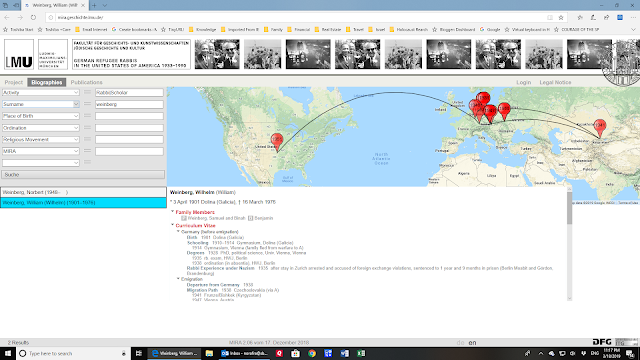 I am honored to announce the website listing of German Refugee Rabbis to the United States posted by the Ludwig Maximillian University of Munich. 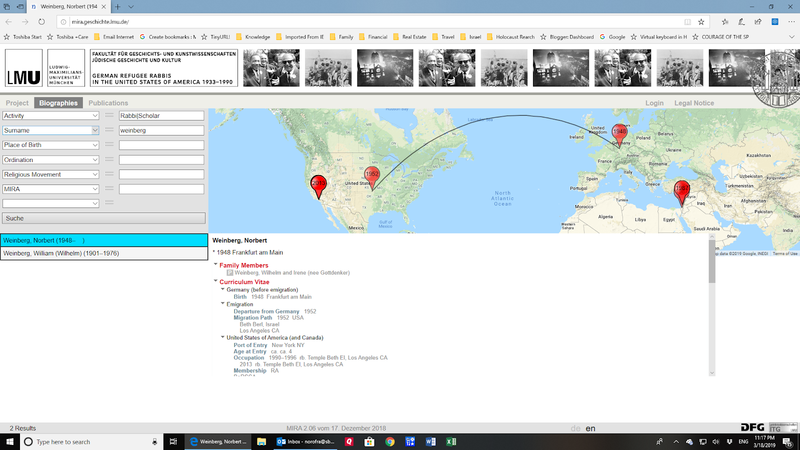 My father, Rabbi Dr. William Weinberg, is listed, as so am I, possibly the only Rabbi on the list born after the Shoah! 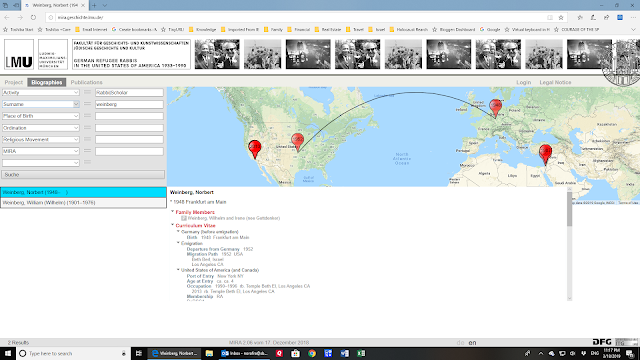 We are pleased to announce the publication of the online Digital Humanities Database „German Refugee Rabbis in the United States, 1933-1990” (http://mira.geschichte.lmu.de/ /). 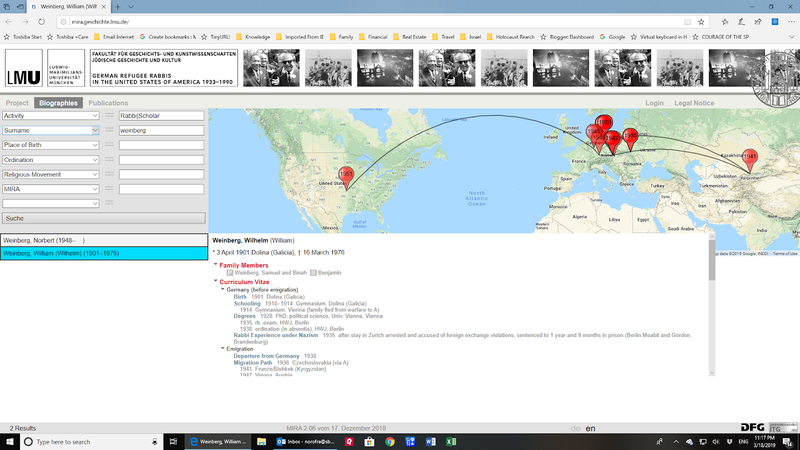 It was a research cooperation between Dr. Cornelia Wilhelm of the Department of Jewish History and Culture, the Center for Digital Humanities at Ludwig-Maximilians-Universität München and the Goldstein Goren Center for American Jewish History at NYU and was funded by Deutsche Forschungsgemeinschaft (DFG).